Meet, Dream and Play Center-Strip. With practically the entire property as a possibility for your meeting or event, professional planners and caterers are available to help you customize every detail. 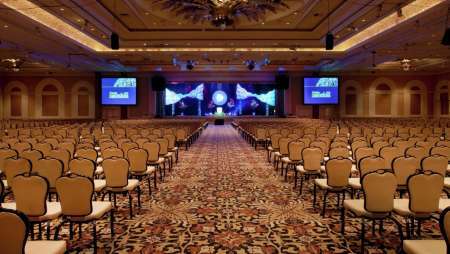 Whether you are planning a meeting for five business executives or a convention for 3,000, The Mirage convention facility offers unparalleled technical infrastructure for production and meetings.